Another beneficial use of the most popular medication on the planet has turned up in veterinary medicine: Viagra AKA sildenafil citrate. I have recently learned its other miraculous uses other than the drug’s emotionally and over-utilized beneficial side-effect. 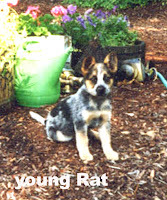 A wonderful cattle dog, Rat, was seen for weakness and exercise intolerance. Rat lived with his two owners in beautiful Topanga, the town that lies nestled in the Santa Monica Mountains. Rat is an avid hiker and energetic explorer, so for him to be tired was unusual. At the time of exam he was clearly in distress and the excitement triggered him to worsen. His tongue had started to turn blue (cyanosis). We quickly applied an oxygen mask to relieve the distress. I placed a nasal oxygen catheter to more efficiently deliver oxygen. As the history was revisited, the owner mentioned that he had always had trouble breathing. In fact, another vet mentioned while he was a pup that he wasn’t going to live long. Well, it took 13 years for the crisis to develop. Upon stabilization by 911 VETS Providers, Rat was transported to the local Specialty practice and rushed back to the treatment table where the case was handed over to the Cardiologist on staff. Rat spent some time in oxygen until he was evaluated by ultrasound. He was diagnosed with COPD (chronic obstructive lung disease) and pulmonary hypertension (high blood pressure in the right side of the heart). He was put on a new heart medication, pemobendin, as well as VIAGRA to combat the hypertension. After a few days of agonizing decision-making, the owners elected to wait it out to see if Rat could come out of oxygen. His lungs had lost their full elasticity and caused severe back pressure on the heart. Finally after 3 days of treatment he was able to breathe room air and maintain a normal pink color to his gums. The medication is working. Thanks mostly to the quick assessment and skilled specialist, Rat is now continuing his rugged lifestyle back home in the canyon with the miraculous medication used as originally intended to combat high blood pressure. These owners are one couple who actually pay attention to the VIAGRA spam in their e-mailbox.